VietNamNet Bridge – A Japanese football club - Consadole Sapporo - met with striker Le Cong Vinh early this week to invite the top striker of Vietnam to join the team for one year. However, the Hanoi Football Club, Cong Vinh’s current team, said they have not received any information from the Japanese club. Vinh is currently in Ho Chi Minh City to care for his wife, singer Thuy Tien, and his newborn baby. Earlier this week, the representative of Consadole Sapporo FC unexpectedly met with Vinh to discuss a one-year contract. The team, which is playing in the Japan Championships offered monthly wage of $7,000. The Japanese FC worked with Vinh, however, they have not negotiated with the Hanoi FC yet. "We have not received any offer from the Japanese partner. A lot of teams say they want to have Cong Vinh, but in fact they do not sit down to negotiate with the Hanoi FC," says Mr. Le Khac Chinh, an official of Hanoi FC. Cong Vinh's contract with the Hanoi FC is still valid in two years and if one party breaks the contract, the compensation will be VND18 billion (around $900,000). However, at present, Hanoi FC is willing to transfer Cong Vinh at the price of VND3 billion. Not long ago boss Hoang Manh Truong of Ninh Binh FC expressed his wish to have Cong Vinh. 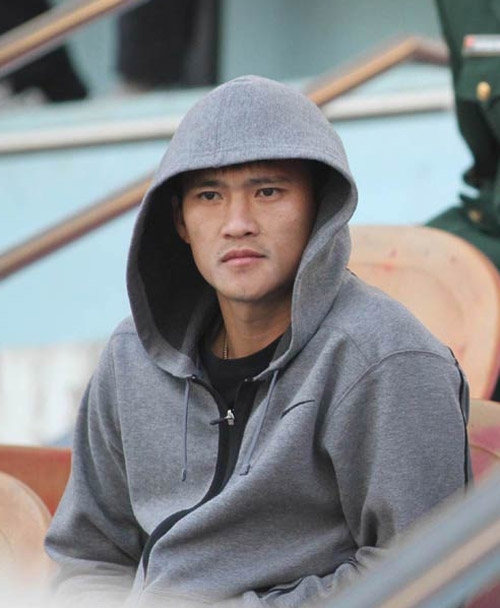 However, he only wanted to borrow the striker at the dirt price of VND500 million ($25,000) for a season. Boss Nguyen Duc Thuy of Saigon Xuan Thanh FC also said to be willing to buy this striker at the cost of VND3 billion but he has not officially negotiated with the Hanoi FC.